Breaking Fad Will 2015 be the year that upstart OLED TVs finally catch on with the TV buying public? LG, long time advocate of the futuristic panels, believes so. At its recent annual trade preview held at Mercedes-Benz World in Surrey, the company declared it was revving up OLED panel production and spread-betting on 4K UHD across the board. No less than 65 per cent of LG’s 2015 TV range will be 4K-ready and all new OLED screens introduced this year will offer 2160p resolution. To date, LG has invested over $1.2bn in OLED development. I suspect that this year it wants to see a return on that investment. Of course, TV industry stalkers will know that LG has been hyping large screen OLED enthusiastically for yonks. However, the technology has yet to find any real consumer traction. A 4K OLED screen “launched” in London last summer but is only now casually sauntering up for a release. This is the display technology that cried wolf. Yet OLED’s allure remains strong. To see one is to want one. 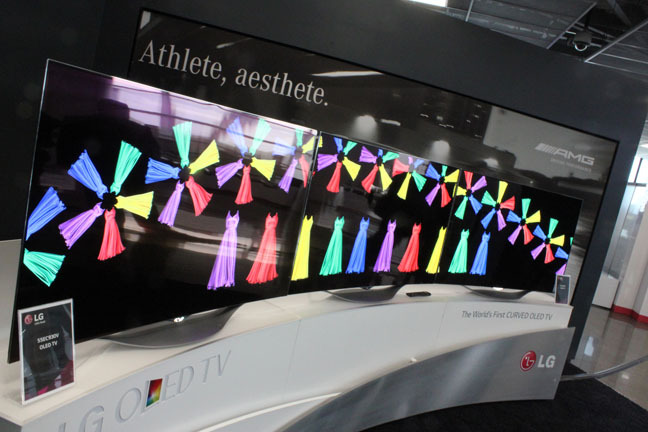 OLED has proved notoriously difficult for display manufacturers to commercialise. 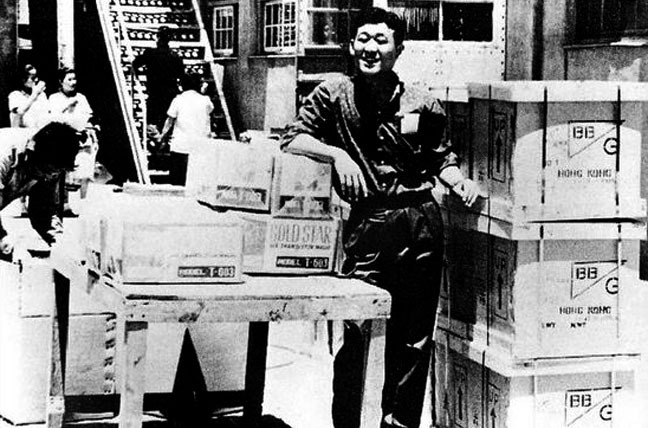 When first touted, Samsung went head to head with LG with its own OLED panels, but development proved both difficult and costly. The world’s biggest maker of TVs decided the technology simply wasn’t worth the pain and returned to the lucrative safety of LED LCD. What’s left of the Japanese TV industry also pledged to join forces to produce OLED panels to combat LG, but rapidly evaporating interest in the global TV hurt locker put paid to that. Only Panasonic is now actively planning an OLED TV launch (the smart money says it’ll be announced for IFA 2015), sourcing panels from LG. It also remains to be seen just how effective upcoming Chinese panel manufacturers will be with their own OLED production. For the time being, LG leads in a field of one. Unlike rival LED LCD TVs, self-emissive OLED doesn’t require a back light, and the manufacturing process is theoretically simpler as fewer components are required. LG’s latest M2 production facility now claims to produce 26,000 substrates a month, each of which can be used to create six 55-inch screens. A year ago, the brand was struggling to produce 8,000 per month. Maybe, just maybe, the pixels are beginning to align in its favour? At its UK trade unveiling, the OLED cast of 2015 looked undeniably terrific. The fine detail of 4K, combined with OLED’s perfect blacks and vibrant hues make virtually anything compelling viewing. The 65-inch 4K OLED EC970V, promised for autumn 2014, will be joined this spring by the all-new 65EG960V and 55EG960V models, priced at £6,500 and £3,800 respectively. 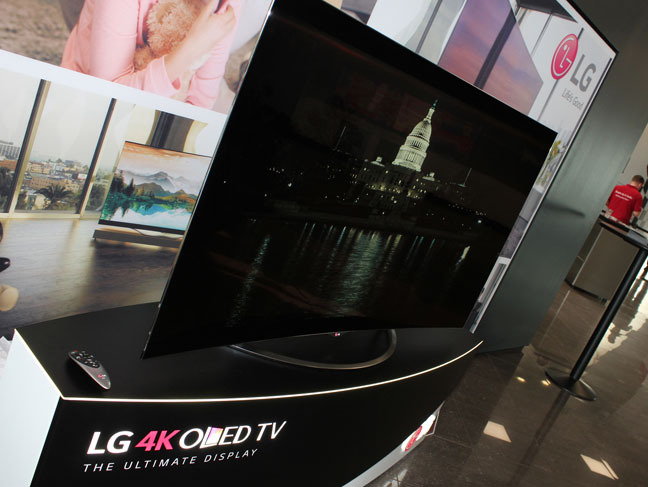 LG isn’t introducing any new Full HD OLED TVs, just letting last year’s models roll on through. Ultra HD is fast becoming a lynchpin for the brand. Incoming 4K LED screens all get a performance boost from LG’s Colour Prime technologies (Quantum Dot and Wide Colour Gamut). The flagship LED set is the UF950V, a 4K flatscreen available in 55- and 65-inch sizes. It features a second generation webOS Smart TV UI and clever Auditorium stand able to bounce downward firing audio into the viewing area. It’ll be joined by the UF860V, in 55- and 65-inch guises, which features an even more impressive Harman Kardon designed sound system. Arguably the LED screen most buyers will be interested in will be the entry-level 4K UF675V. This 49-incher has no Smart connectivity or HEVC decoder, but LG suggests this isn’t an issue as it’ll probably be used with BT’s upcoming 4K set top box. The key hook is that it’ll sell for £700 or less.